The central government, under the leadership of Modi, implemented the Pradhan Mantri Awas Yojana (Gramin) for helping poor people with the construction of their permanent homes. Keeping in line with this scheme, the Maharashtra government has designed and developed another housing scheme that will help labors, living in the rural and remote areas. In this article, you will be able to learn about the features, eligibility and application procedure of the scheme. Development of housing conditions – Most poor people, living in the rural and remote areas lack money and resources to construct permanent homes for themselves. With the official implementation of this project, poor labors will be able to make their permanent homes without worrying about financial constraints. Financial assistance – The Maharashtra government has announced that all individuals, that meet the required criteria, will receive Rs. 1.5 lakhs from the state authority. Total carpet area of the homes – The CM of the state also announced that all applicants will be able to construct a home that has a total carpet area of 269 square feet. In case the applicant is interested in constructing a bigger home, then the additional expenditure will borne by the respective applicant. Total number of beneficiaries – There are over 26 lakh candidates that are associated with the construction work. But 4 lakh among these labors live in villages. Thus, the implementation of this project will offer finance for housing to 4 lakh beneficiaries. Permanent house construction – Applicants will have to use the money, offered by the state government, to construct a permanent home for their personal use. They will also be able to utilize the money for making necessary repairs and renovations. Money for purchasing land – It is mandatory for the interested applicants to have their land. In case the labors don’t have their own plot, then the state government will offer an additional Rs.50000 to such applicants. This money will help them to purchase a suitable land in the rural areas. Tenure of implementation – The Maharashtra CM has suggested that the department will work at fast pace to ensure that applicants the benefits. It is expected that the construction of the beneficiaries’ homes will be completed within 6 to 8 months. Residential requirement – As the scheme has been developed by the state authority of Maharashtra, only those labors, living in the villages, located within this state will be allowed to enroll. They will have to furnish official residential documents to support their claims. Only for construction worker – This particular scheme has been developed for those workers, which are associated with the construction sector. Thus, such certificates must be produced during registration. 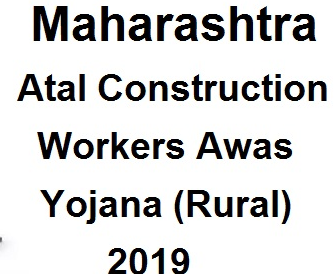 Registration with MBOCWWB – If any construction worker desires to attain the benefits of this scheme, then he must be registered with the Maharashtra Building and Other Construction Workers Welfare Board. Without this enrollment certificate, their applications will not be accepted. Time duration of membership – The labors must continue their membership for at least 12 months, before applying for this housing scheme. If they don’t meet this criterion then they will not get the money. Land registration papers – In case the applicant has his own land, then he will have to submit the land registration papers during enrollment. In case he does not have any land, then he will have to prepare and submit such documents. Bank details – The money will be transferred in the bank account of the applicants. Thus, they must offer account related details while registering for the scheme. How to apply and get registration form? The official implementation of this scheme has not yet taken place. The Maharashtra government will soon start the procedure. It is working on the final implementation related nitty-gritty. So, it has not released any official declaration about the registration procedure. Once the Maharashtra government releases these details, you will get it on this site. Though the state housing department officials are happy with the final look and structure of the scheme, and are ready to go ahead with the implementation of this project, there are some sections, which suggest that the financial aid must be increased. Maharashtra Construction Workers Federation opined that the state government must take necessary steps and increase the total financial aid. That will pave the path for the overall development of more individuals, associated with the labor category.